Widex Hearing Aids - Purchase The Latest Models Through Hearing Choices + Save! Widex has always been pushing the frontiers of hearing technology, searching for better ways to give people unlimited access to a world of sound. Based in Denmark, and creating hearing aid technology since 1956, Widex has a reputation as being an innovator in the hearing care industry. They developed the world’s first In-the-Ear (ITE) hearing aid, receiving an award for its ground-breaking design in 1985. Ten years later they followed it up with the first fully-digital ITE hearing aid. Apart from being leaders in hearing aid technology, they are also leaders in sustainability with their Danish headquarters being completely CO2 neutral. The most familiar style of hearing aid with all components cased in a piece that sits behind the ear (mini-BTE available in EVOKE model). This style has a small device behind the ear with an ultra-thin tube carrying a wire to a small plug (dome or mould) in your ear, (mini-RIC available in EVOKE model). A smaller version of above, offering a more discreet hearing aid style. Hidden completely in the canal, a barely visible hearing device (CIC-micro available in EVOKE model). The higher the performance level, the more features you will find on the hearing aid and the more programming ability your hearing professional will have to customise your device to suit your specific needs. Some people have complex hearing needs. If you fall in to that range, higher performance levels will provide more solutions, delivering improved hearing across a wider range of settings. Widex wants to give you the best listening opportunity at all times. It’s your life and your hearing needs should be addressed to suit your personal requirements – that’s what a Widex hearing aid will do for you. SoundSense Learn – this technology allows users to be in control of what they hear, for any given environment. It uses ‘machine learning’ which can make it easier to select the sound you want, adapting to the constant changes in your listening environment. SoundSense Learn will analyse your feedback from your environment and enhance your current real-life hearing settings. EVOKE Smartphone app – you can teach your EVOKE hearing aid how you prefer to hear, using this app. It’s a new way of hearing, with your anonymous input combined with other EVOKE users from around the world, to create a cloud-based sound map. This will build up a picture to keep giving you the best listening experience. EVOKE continues to learn and uses this information to improve access to sound – it’s Artificial Intelligence for your hearing aid! It never forgets your preferences and you can change your listening parameters to get the sound you want. Audibility Extender – moves the sounds you can’t hear from the high pitch range (such as birds, doorbell, speech sounds) to a region where you can hear them. This will give you effortless hearing and a wider appreciation of all the sounds you are currently missing. Bluetooth streaming – the sound quality for Widex Bluetooth streaming has been shown to be significantly better than other similar products. The crystal clear sound comes from the separate templates for speech and music, taking into account what type of sound you want to listen to. BEYOND App – now available for both iPhone and Android users, this app has a number of useful functions, for users of the BEYOND hearing aids. It will adjust the volume of your hearing aids or mute them. You can alter the hearing aid directionality through the app and add specific locations and listening programs for that situation. The app will automatically switch to that program when in that location. Geotagging is also available as is the ‘find my hearing aids’ function. Zen Therapy – this tinnitus management tool is not a new feature in Widex hearing aids, but it continues to be a winning one. Based on musical properties, the Zen tones aim to help relax the wearer, and hopefully, habituate them to their tinnitus, so it is not as bothersome. Always talk to your hearing health clinician about your tinnitus to see if the Widex Zen Therapy would be useful for you. EVOKE is Widex’s superior hearing aid that allows you to tap into fantastic binaural sound experiences in all listening situations, including outdoors, meetings and shopping centres. Released in 2018, this hearing aid will remember all your listening preferences and provide you with a clearer hearing experience. It will give you as much control of your hearing aid settings as you want, in all listening environments. It is suitable for all hearing levels, and is available in all styles. With SurroundSound Learn technology, this hearing aid is the first of its kind to include ‘machine learning’ algorithms. There are two EVOKE models – Fusion and Fusion 2. The EVOKE Fusion 2 model is made for iPhone use across all of the styles, including the CIC. You can utilise Bluetooth streaming and the EVOKE Smartphone app to personalise your hearing aid for your own listening needs. It is packed full of features including specific music and Zen Tinnitus programs. And to make this hearing aid really stand out from the crowd, the EVOKE Fusion 2 model comes with the option of rechargeable Z Power zinc battery. If you have a busy lifestyle, with many demanding listening situations, the outstanding sound experience with the EVOKE could be the hearing aid for you. If you want a top of the range hearing device that allows you control over settings, enables machine learning and gives you a vibrant listening experience, you should choose the EVOKE hearing aid. And if you don’t want the bother of changing batteries this amazing hearing aid is compatible with the Z Power recharge kit. A made for Smartphone hearing aid that uses Bluetooth, DEX communication devices and Telecoil options. This hearing aid also has its own app – the BEYOND app, which enables users to personalise their listening experience. You can stream music and videos straight to your hearing aids. The BEYOND Z model enables you to not only have the exceptional sound quality of the BEYOND hearing aid and easy change of settings, but gives you the rechargeable battery option. Reported as the longest lasting rechargeable battery, even when streaming, available today. And if you can’t access a power outlet to recharge, you can pop in a zinc-air battery to keep you going, until you can power up again. This model comes in all four performance levels and is available in the RIC style. For those looking for a hearing aid that will give them excellent speech clarity in a variety of listening situations and wanting to take advantage of Bluetooth streaming, the BEYOND model is worth considering. 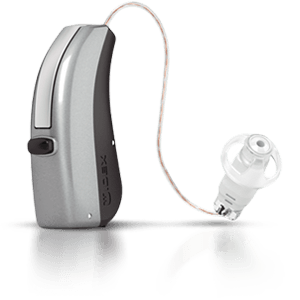 If you want to make use of telecoil technology found in theatres, public venues, meeting rooms and churches, you may wish to try this hearing aid. Available in CIC, ITE, RIC and BTE styles, with four performance levels, the UNIQUE hearing aid will give you excellent directional listening. 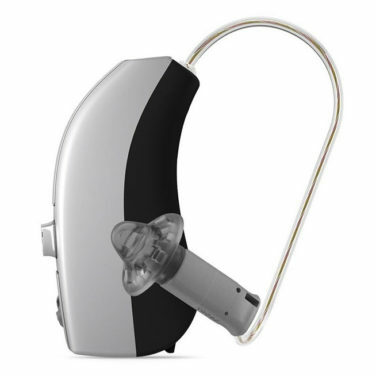 Hearing aids in this model boast wireless connectivity between your hearing aids, noise reduction features and preference control. Zen Therapy is available in this model and it is compatible with DEX communication devices. UNIQUE hearing aids utilise the Audibility Extender feature and give excellent sound quality for speech and music, in or out of doors. If you are after clear sound quality in all environments but don’t need Bluetooth technology, this could be the model you are looking for. If you want a wide range of styles to choose from, need tinnitus assistance and like listening to music, then the UNIQUE aid is one you should consider.